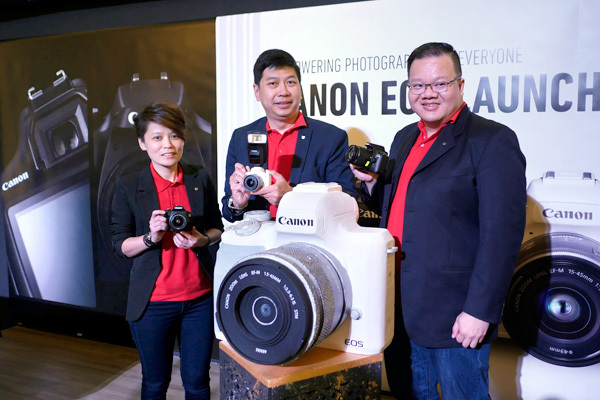 Canon Marketing (Malaysia) Sdn Bhd today launched three new cameras under the brand’s EOS series namely the EOS M50 mirrorless camera and the EOS 1500D and EOS 3000D DSLR cameras as well as the Speedlite 470EX-AI flash. The new imaging products strike the perfect balance between superb imaging quality and supreme usability, signifying Canon’s efforts in connecting with a wider range of entry-level users while maintaining its focus on innovation and sophistication in imaging technology. 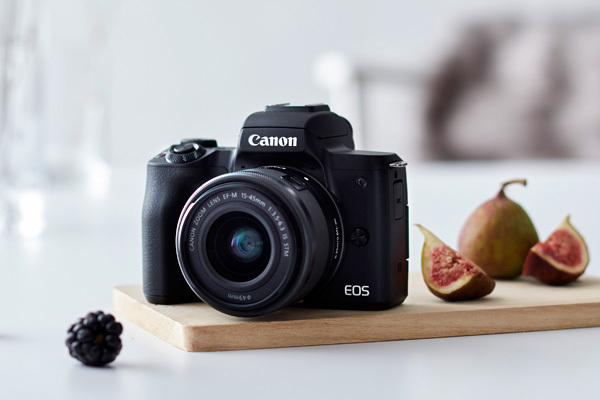 The EOS M50 stands out amongst Canon’s mirrorless camera models as it is the first Canon camera to be equipped with the latest DIGIC 8 image processor that powers 4K video shooting capabilities, offering superior user experience in capturing and sharing life’s precious moments. Affordable and easy to use, the EOS 1500D and EOS 3000D are ideal for beginners and will fuel their passion for photography and explore the possibilities beyond smartphone technology. While the Speedlite 470EX-AI, the world’s first flash equipped with auto-intelligent bounce function, makes an exceptional tool for flash photography. The new EOS camera models and Speedlite flash are part of the brand’s efforts in cultivating a photography culture amongst the mass consumers who enjoy taking photos and want to move up from smartphone photography in expressing themselves. “We want to encourage consumers to develop a passion for photography and appreciation of high quality images. Our new products have been designed with the needs of our diverse consumers in mind, giving them the chance to take their creativity to the next level and to express their individuality in the most effortless way possible,” Koh added. Speaking at the launch, Jeffrey Kung, Head of Consumer Imaging and Information Division, said that Canon realises consumers are changing the way they approach photography, and that the brand’s products must complement their lifestyle by being accessible while making usage simpler and convenient. “Our three new cameras are lightweight and packed with a host of advanced but user-friendly features that create high quality images. And with the increasing popularity of online video content in our digital age, the EOS M50 with its powerful video shooting ability, is also ideal for vloggers, YouTubers, and anyone else who loves to record, capture, and share cherish moments with their friends and family. 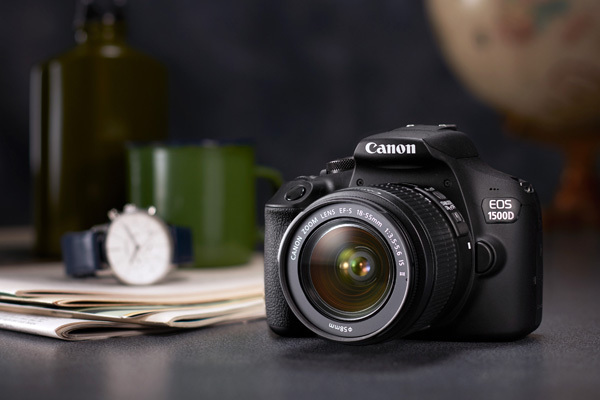 The new EOS 1500D and EOS 3000D are DSLRs with great value for money, and are excellent choices for students in the communications and creative fields. They are simple cameras that produce high quality images and videos for their assignments,” he remarked. Kung also highlighted that the new Speedlite 470EX-AI, will revolutionise flash photography, be it for beginners or advanced users. “For those who are unfamiliar with the benefits of bounce flash photography, this accessory will unlock a new level of photography by simplifying the science of illumination and turning it into an intuitive experience. The flash detects the optimal angle for bounce flash, delivering the best lighting conditions on the subject,” he added. The EOS M50 is Canon’s first mirrorless camera to come with 4K ultra-high definition video capability, so record your memories in vivid colours when life is full of excitement, or in soft, minute details during the quiet moments. The latest DIGIC 8 image processor, combined with the 24.1-megapixel APS-C sized CMOS sensor, gives users the latest technology in capturing crystal clear, beautiful images even in dimly-lit settings – all in a light-weight, compact body, a must-have for vloggers. The newly improved Dual Pixel CMOS AF ensures the focus of your subject never strays away, even if it move quickly. And with a normal ISO speed of 25600 and expendable to 51200, enjoy clear shots with minimum noise even when there is little light. The camera’s 3.0” 1.04 million dot Vari-angle LCD touchscreen allows flexibility in varied angles while shooting, letting you capture precious moments whether you want them in a landscape shot, a portrait selfie, or a casual vlog, as the touchscreen flexibly swivels to complement their shooting angle. And if you recorded a video, but wanted a to capture a scene in the frame of a photo, the EOS M50 has got your back with the 4K Image-Grab function, letting you grab a frame from a 4K video and converting it into a high-res still image. While the Touch and Drag autofocus feature which lets users switch the focus of their subject by dragging their finger on the LCD touchscreen. Finally, users can stay on top of their social media game by being connected from the snap of their camera to their friends and family on social media. Transfer your cherished moments to your phone, printer, or (another) camera instantly through Wi-Fi, Bluetooth, or NFC. 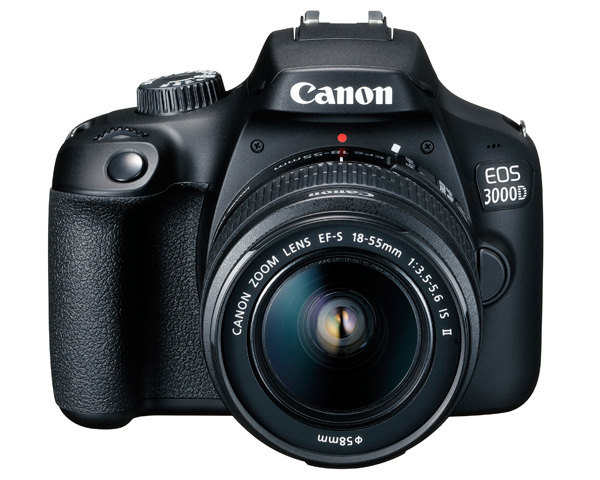 As affordable entry-level additions to Canon’s DSLR range, beginners in photography do not have to stay beginners with the EOS 1500D and the EOS 3000D. Both are powered with a DIGIC 4+ image processor and a 24.1 and 18.0-megapixel APS-C CMOS sensor respectively, users can enjoy top quality pictures even in low light conditions. With an ISO from 100 and up to 6400 and expandable to 12800, combined with a full HD movie shooting function, these cameras allow for clear images and videos while minimizing the noise in the content. 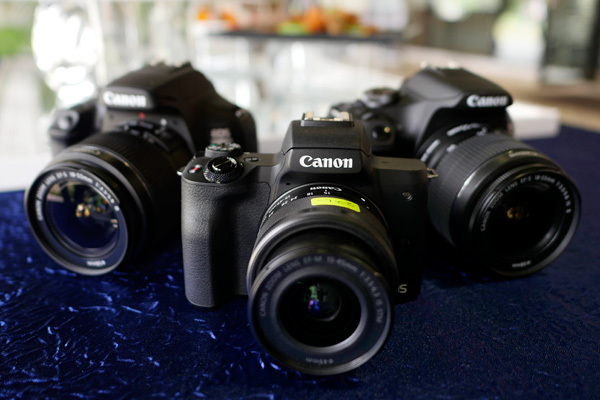 Furthermore, these DSLRs have a Features Guide which helps users improve on their techniques with hints and tips and different Scene Modes including portrait, landscape, night and food mode will let users express their creativity by optimizing their shooting setting. Additionally, the Scene Intelligent Auto mode automatically analyses scenes and refines images to produce beautiful pictures by itself. To experiment with their work, users can apply Creative Filters such as fish-eye, soft focus and toy camera to express their individuality with pre-set artistic enhancements. And apart from Wi-Fi and NFC connectivity, users can even control their camera from their phones through Live Remote Shooting via the Canon Camera Connect App. Change your settings, zoom in, and focus on your subject – all these are possible even when you are away from your camera. 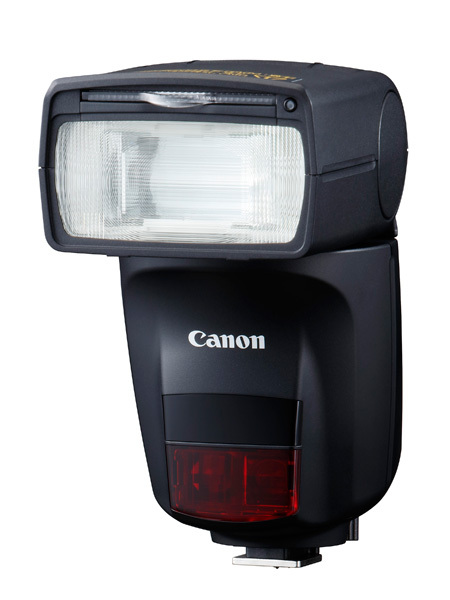 The Speedlite 470EX-AI is the first auto-intelligent flash in the world, a revolutionary step forward in flash photography. Bounce flash photography is a technique where the flash is directed away from the subject and bounced against a wall or ceiling to create natural brightness in photos. The flash uses auto-intelligent (AI) bounce technology, which means that the motors and sensors automates the adjusting, configuration, and tweaking of the conventional flash, so it can provide users the optimum angle and the perfect light without you setting it yourself. And it comes in two modes: full-auto and semi-auto. Full-auto is fitting for beginners, as it adjusts itself according to your surroundings and provides you with the illumination you need without thinking about it. The semi-auto is for the intermediate and advanced users who want to prioritize their control of light, by changing the angle they want the flash to be, and the flash will remember it no matter how you hold it later. Equipped with a guide number of 47, and a flash coverage from 14mm to 105mm, the Speedlite 470EX-AI is powered to cover a variety of scenes of different distances and angles, while a bounce adaptor can help complement the flash by suppressing shadows to create the type of soft lighting that is ideal for portraits. Today’s launch was also part of the brand’s commitment to continue creating products to suit consumers’ lifestyles and support their needs for affordable and less complicated ways to create high quality images. The event featured a host of fun and interesting ‘Touch and Try’ activities including coffee art and food plating demonstrations which gave people a chance to take pictures and videos to discover the various functions of the new cameras and flash. Koh also shared that the brand’s interchangeable-lens digital cameras (digital SLR and mirrorless cameras) have maintained the No. 1 share of the global market for 15 consecutive years1 from 2003 to 2017. “This is a result of our commitment in pushing the boundaries on the capabilities of imaging solutions and how we are committed in making photography accessible, simple and fun for our consumers and to support their needs for more creative avenues in producing high quality images,” he said. He added that although Canon believes that photography is for anyone and everyone, Canon’s latest products are a testament that no matter how photography transforms, the superior imaging quality the brand creates is something that will never change. For more information, log on to www.canon.com.my.